Because Rick & Morty’s third season won’t be here until the sun explodes, Cryptozoic are releasing a couple of games based on the series to tide people over. 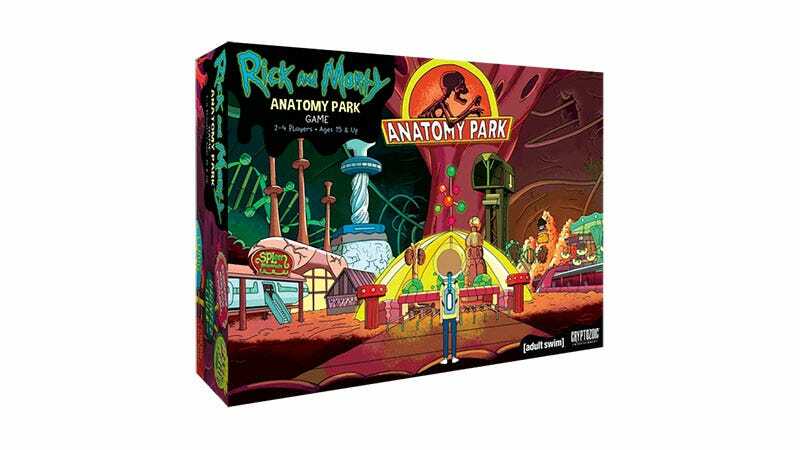 One is a board game set in Anatomy Park, the other a deck-building card game about Close Rick-Counters of the Rick Kind. A CTRL + F on the board game’s announcement page returns 0 results for “bone train”, so let’s hope that’s just an advertising oversight. They’ll be out later this year.